TFA Yarn and Colourway: Yellow Label DK in "Jewel"
Totally Awesome Because: I love how her daughter refers to it as a princess dress, because that's exactly what Monika created- a dress fit for a princess. 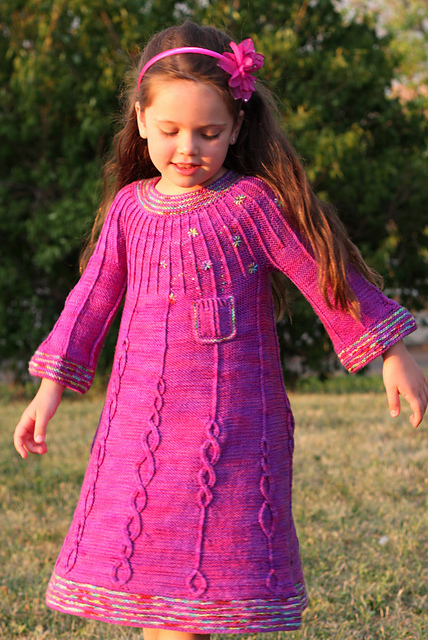 the colour is bright and vivid and looks beautiful on her daughter, and the dress looks super comfortable. She looks so happy wearing it! The project page can be found here. I've had an idea for a sweater bouncing around in my head for months now. 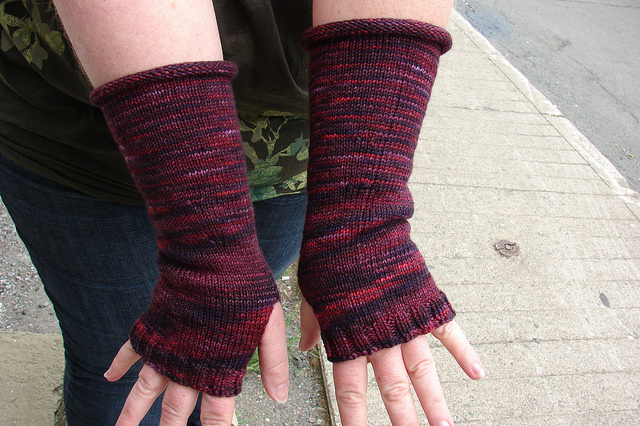 When I first got excited about this potential design idea, I knit a swatch. I've had this swatch kicking around for months, and now I've finally started putting it to good use. 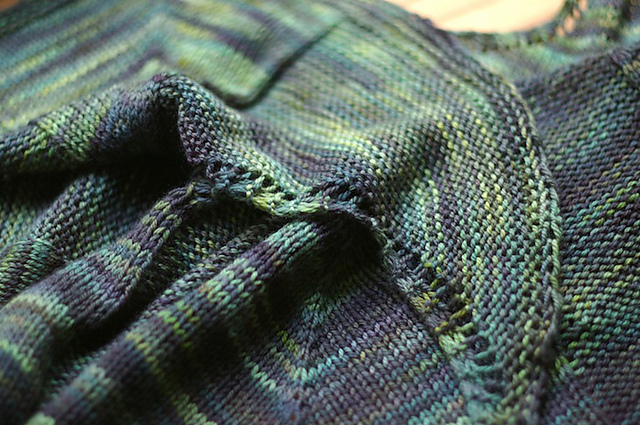 I've measured, I've re-measured, I've calculated and tweaked some numbers, and now my sweater is finally in progress. I knit the swatch in TFA Yellow Label DK weight yarn in the Stormy colourway, but the actual sweater is being knit in a new for fall colourway that is still a secret. This sweater concept actually inspired the colourway, more on all that soon. Any orders placed will be shipped when we get back to reality the week of August 8th. 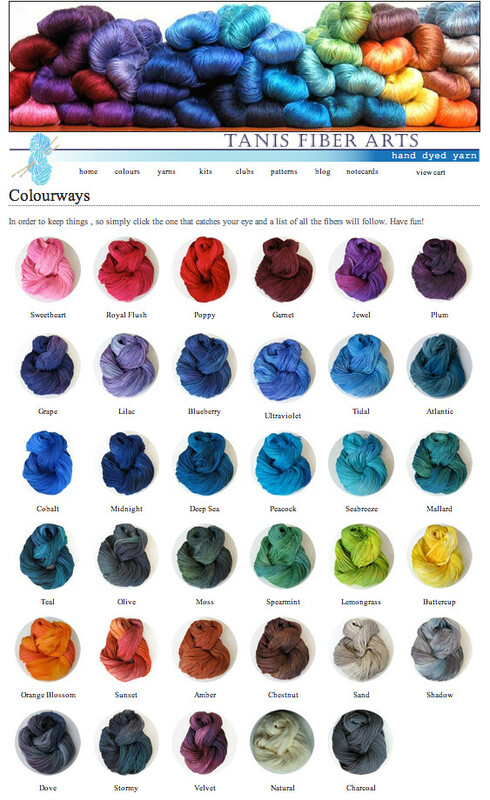 Totally Awesome Because: Stephen West's shawls are always stunning, and often show off hand dyed and tonal yarns to perfection. This shawl illustrates the point beautifully- the pattern and the yarn are stunning together, Kyla made a spectacular choice. And I love the olive colourway- it always seems a little different each time you look at it, and can even sometimes take on different strengths of the various tones and colours based on your colouring or what you might be wearing. 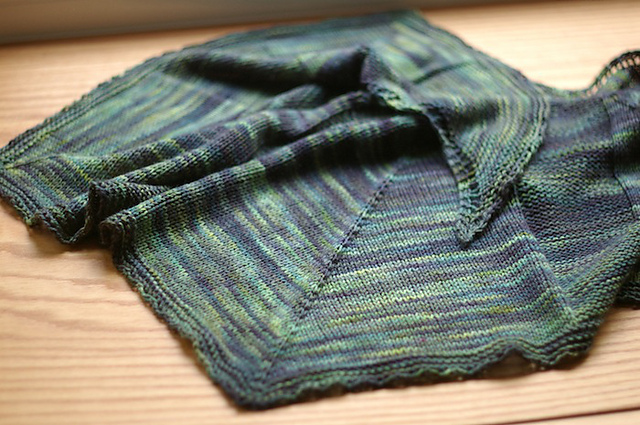 Something about Olive always seems deep and a bit romantic (in a wandering the moor sort of way), perfect for a gorgeous shawl like this. Project page is here. The new blossoms are a bit lighter and the old blossoms are the most interesting faded shade of green and denim. It's very cool. 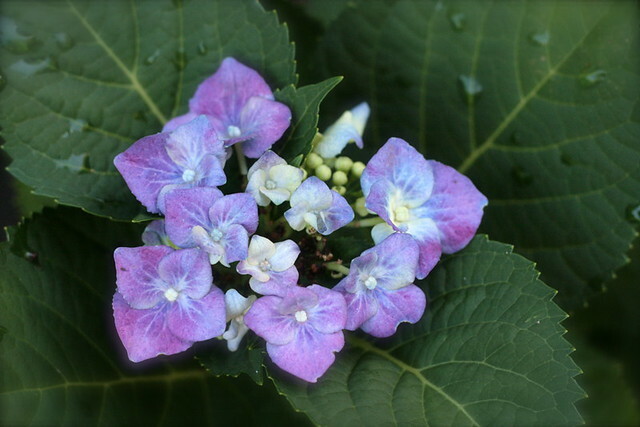 And I am thrilled to report that the hydrangea I planted in my back garden last fall is finally blossoming! 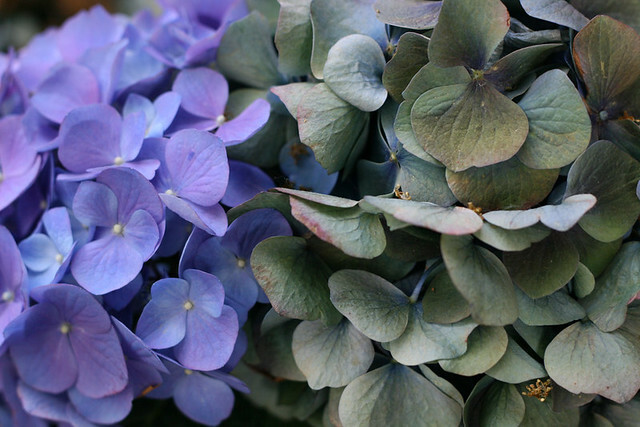 When I bought it the petals were that perfect blue/purple shade, but I was told not to get too committed to that colour since they can bloom differently once planted depending on the acidity of the soil. 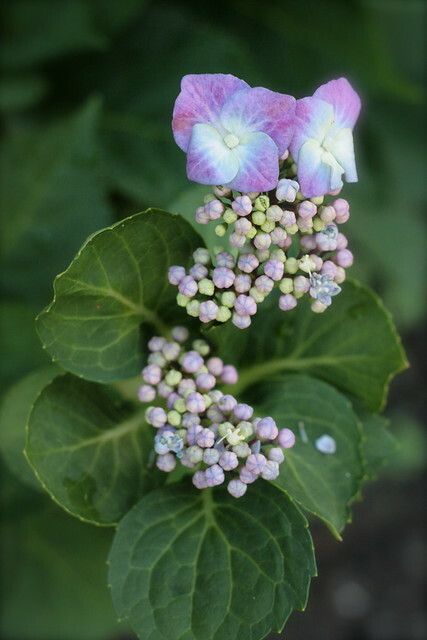 In an attempt to sway the odds in my direction I tossed fifty cents worth of copper pennies and a couple rusty nails into the hole I dug before I planted the hydrangea. I had read online that it might help to make the soil more acidic, even though it makes me look like a crazy person. But it seems to be working! The blossoms are blue and purple with just a hint of pink and I am very happy. 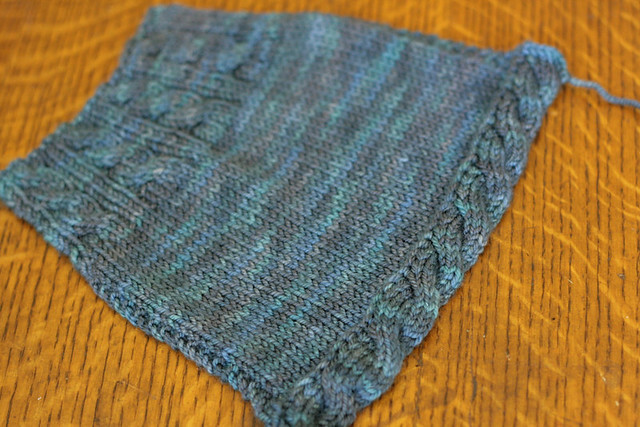 I finished knitting a new pattern I've been working on last week. I'm currently in the process of writing up the pattern notes and figuring out all the sizing (oh the math!) I don't want to give it all away, so I'm just sharing this silly photo that Chris took of me posing behind the clematis. This pattern should be ready for release by the end of the summer. 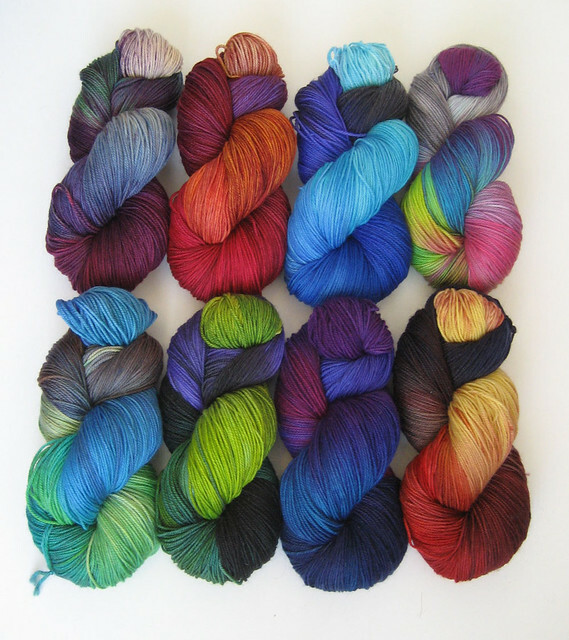 Head on over to the Yarn On The House Blog to watch 17 minutes of me talking about yarn and enter to win a TFA sponsored giveaway! 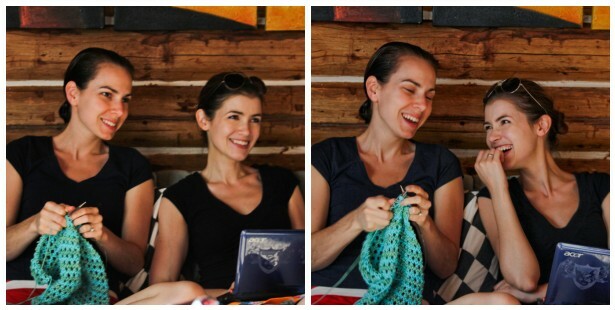 I have to admit, I'm feeling a little self conscious about being a dork in the interview, but it was lots of fun and it made me realize that I can go on and on about yarn and colours forever, I really do love my job. One of the things that Veronika talks about in the interview and in her blog post is how much she likes the layout of my website, the fact that it's organized by colour. What do you all think? Do you like this system? Do you find it easier to shop or would you rather shop by weight? 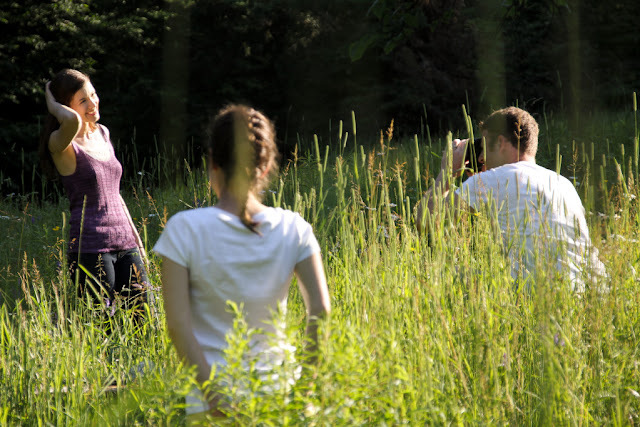 The website is due for a bit of facelift soon, so I'd love to hear your feedback. Totally Awesome Because: Tonal and varigated yarns always seem to really pop when use in textured stitch combinations, but let's sing the praises of stockinette!! simple, unfussy stockinette shows all the beautiful hues and tones of this colourway in Jenny's mitts, which are gorgeously simple, yet add a special something to her wardrobe. 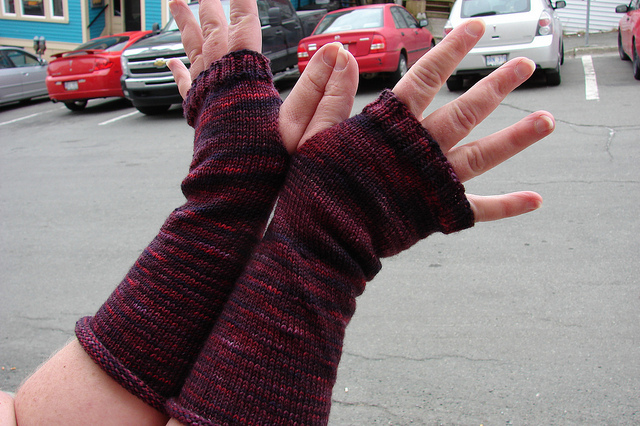 Her project page, with notes on how she made the fingerless mitts, can be found here. Here in Canada, we had a lovely long weekend celebrating Canada Day (July 1st), and snuck off my family's cottage. 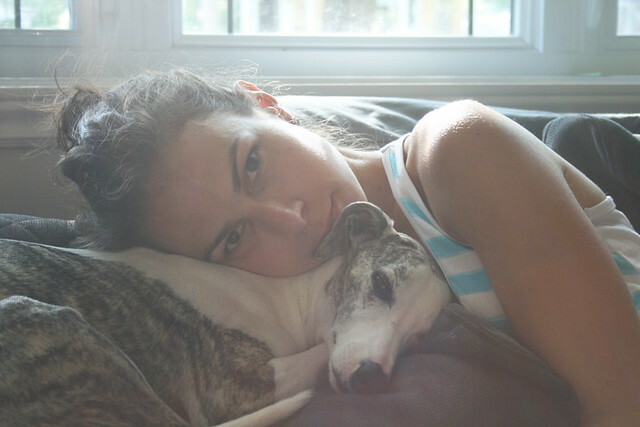 Tanis and I (along with our crackerjack husbands, a couple of Brits, and the TFA mascot, Stella) settled into the long weekend to do some serious business planning for TFA. See how serious? G called it the TFA Braintrust Power Conference.Very, very serious. I mean, we're practically taking over the world right now. You just don't realize. Oh, and did I mention that we did a photo shoot for an upcoming pattern? Because we totally did that too. 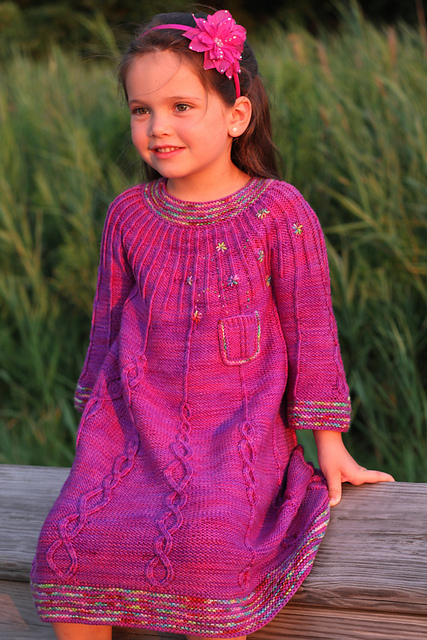 Still a few weeks away from a full pattern release, though! I'm working on the pattern and sizing. As you can probably tell, it's a summery, hot-weather knit! Last weekend I took some roving from my stash and turned it into yarn. 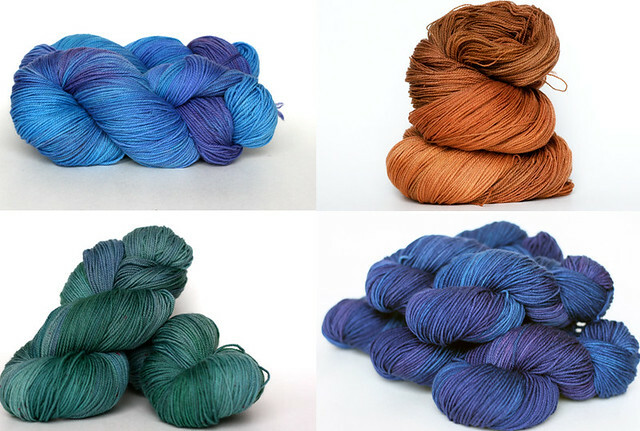 I felt great for minimizing my roving stash, but now my yarn stash has grown! 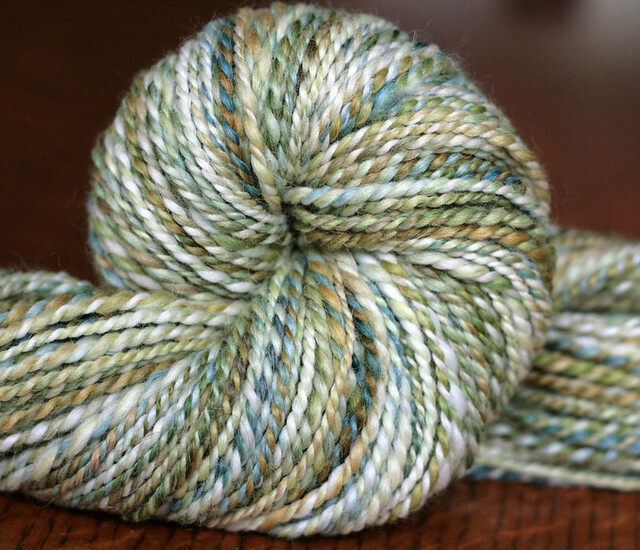 I plan on gifting the green skein. I spun it with a friend in mind who happens to love green. 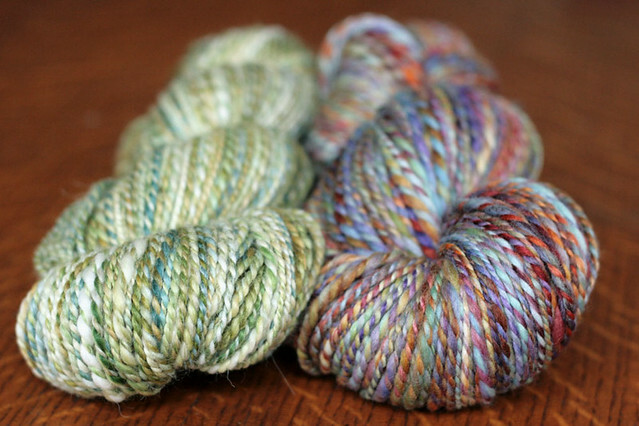 Both roving's were dyed by Pigeonroof Studios.